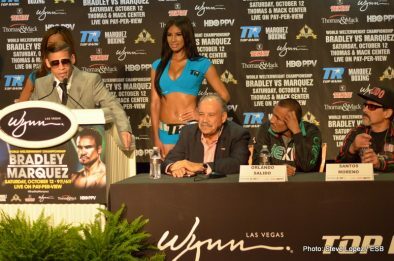 The Final press conference for the undercard fights on the Marquez-Bradley welterweight showdown took place on Thursday in Las Vegas. 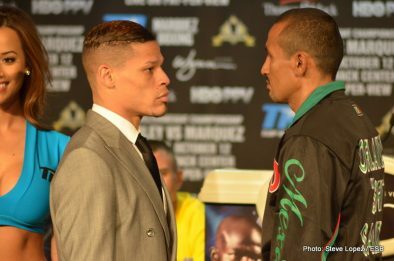 In a battle of Orlandos, the co-main event features another Puerto Rico Vs. Mexico face off: Orlando Cruz and Orlando Salido. 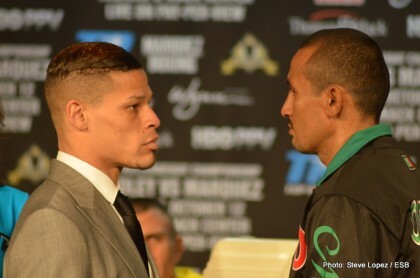 At stake for both fighters is the vacant WBO Featherweight title. 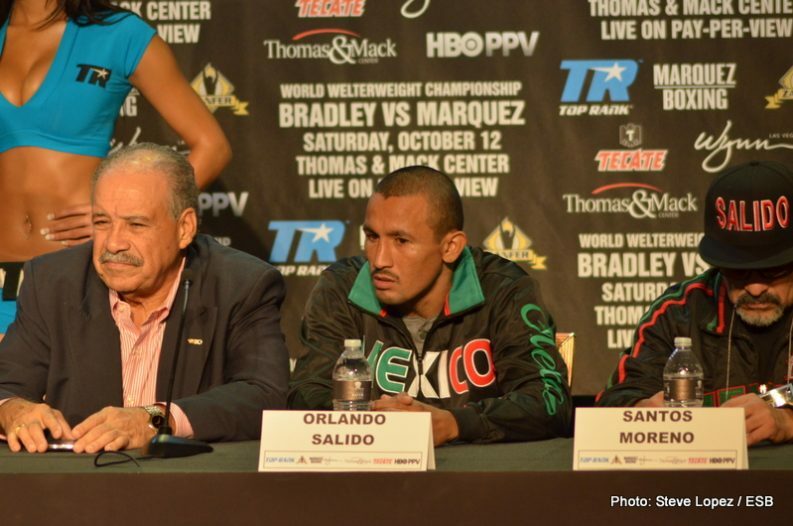 Salido, the Mexican bulldozer inside the ring, is aiming to bounce back from his defeat against Mikey Garcia. 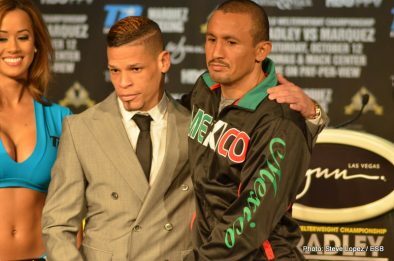 After having successful fights against Puerto Rican fighter Juan Manuel Lopez, Salido is no stranger to fighting and defeating Boricuas. 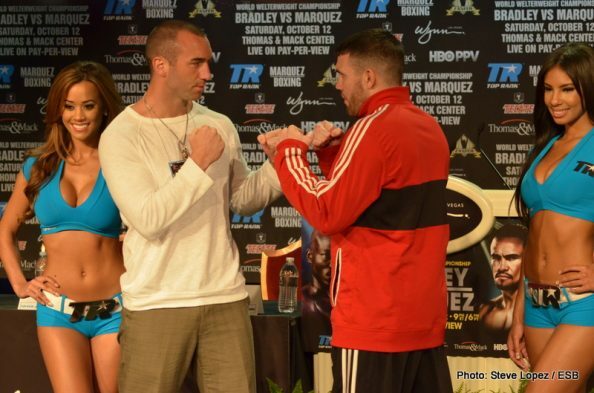 He comes to this fight with confidence of scoring another victory and recapturing the title. Two victories are in the mind of Orlando Cruz. One of those victories has already been achieved: a personal victory with himself. Months ago, Cruz openly admitted to being a member of the gay community. 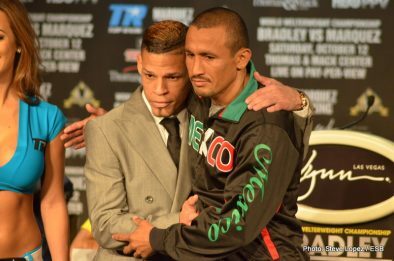 Having already found comfort with himself, Cruz is aiming to become the first recognized openly gay champion in boxing. 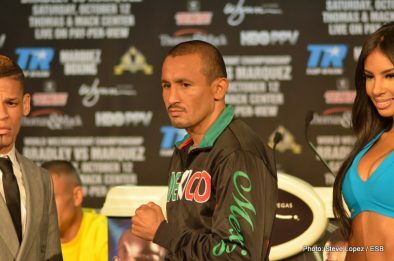 The task against Salido will not be an easy one as the Mexican fighter has constantly shown determination in all of his notable fights, even in defeat. 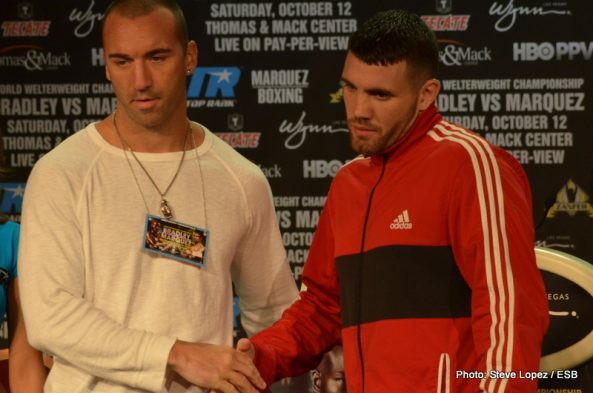 Other supporting bouts for the HBO PPV telecast are Jose Ramirez Vs. Ukraine’s Vasyl Lomachenko as well as Anthony Smith Vs. Sean Monaghan. 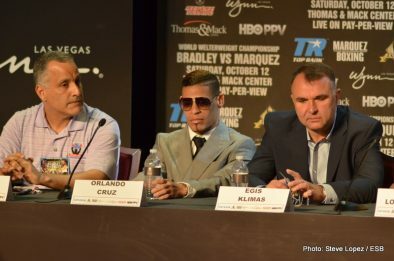 Lomachenko finds himself in a unique situation as he makes his professional debut while fighting for the international version of the WBO Featherweight title. It’s uncommon for professional debuts to have a title at stake. 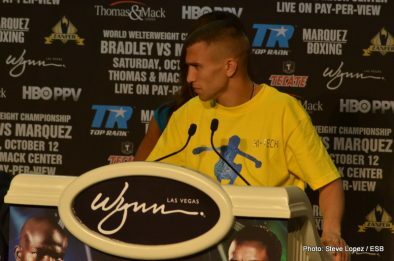 Lomachenko is sure to relish the opportunity and make a name for himself as part of the telecast. 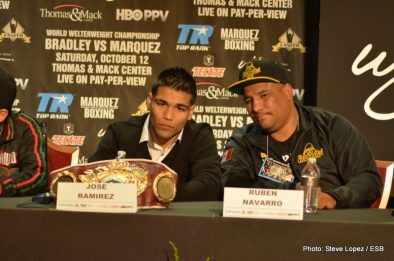 Jose Ramirez will be the one to welcome him to the professional stage. 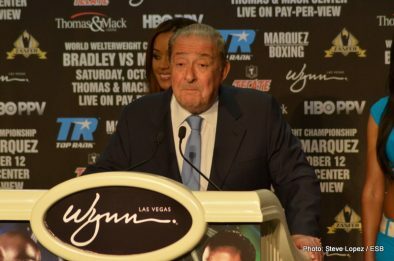 The weigh-in for all of the fights in this Top Rank card is scheduled for Friday afternoon at the Wynn Las Vegas. 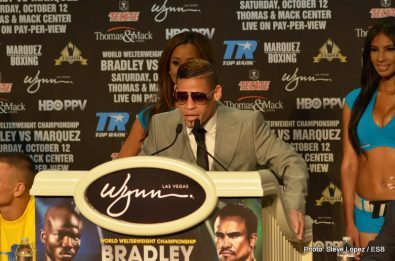 Here are some notable quotes and visuals from the undercard press conference.